The Teen Dads Are Filming a Special! 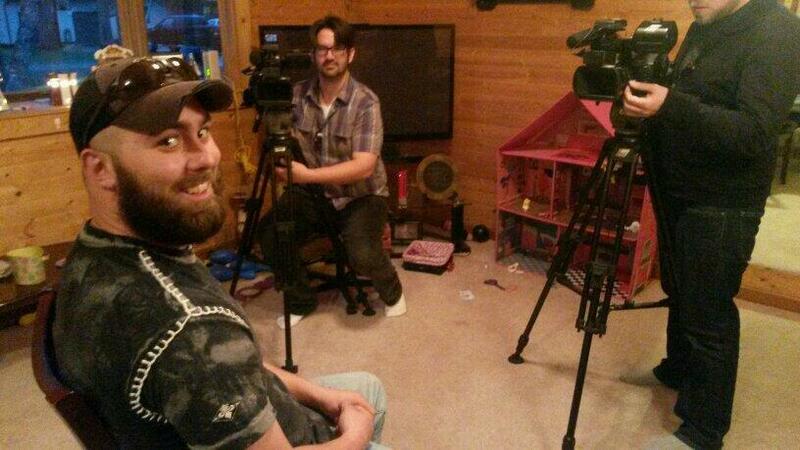 Teen Mom 2 is still filming for the second half of Season 5 but the only time I’ve seen them film sit down interviews with the dads (like the one pictures above) was when the guys had their very own special! I did some asking around and yes the guys are filming a new Teen Dad Special! Ryan Edwards of the original Teen Mom show also posted a photo of MTV cameras in his car, which confirms that he is filming as well. If you (for some crazy reason) didn’t see the first Teen Dad Special you can watch that here. I can’t wait to see what the guys have to say and how they have all been doing. They don’t get nearly as much coverage as the Teen Moms do obviously so it’s nice to see them in the spotlight. Hopefully this time Gary doesn’t have any creepy condom stories. Previous Previous post: Special 90 Minute ‘Teen Mom 2’ Finale to Air Before MTV Movie Awards!